It’s been quite a crazy few months…of some extreme ups and downs. The downs – crashed website, crashed computer, broken hot water tank, 5 weeks of pneumonia and a root canal to top things off! Honestly, some days I just felt like crawling under the covers and hiding from the world. As life would have it there was also some blessings in all of this. I managed to get my crashed computer to start long enough to download an external hard drive with all my documents. Phew! That was definitely a God-moment. And with my birthday around the corner my husband bought me a new laptop (well actually I bought it and told him it could be his present to me – he was relieved he didn’t have to go shopping!). I wanted to say thank you and also mention how grateful I am for all you have done for my clients. You give some great, informative, and useful webinars. You’re awesome, Mary! 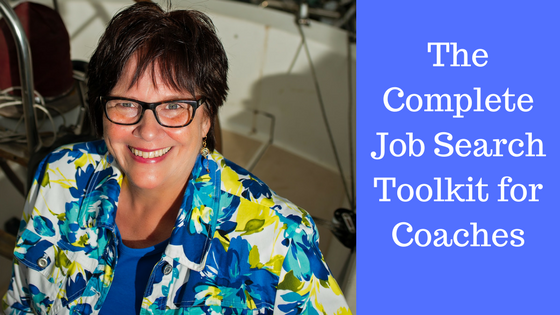 And during the webinar I introduced my program,The Complete Job Search Toolkit for Coaches. This Toolkit is more than just a toolkit. It’s based on my over 20 years of training facilitators, coaches and job seekers in proven job search strategies, and includes direct access to me, 5 days a week! In fact if you register for the program by midnight Friday, March 2, you will receive extra support and bonuses from me, worth $1,000, including a one hour strategy call to ask anything you want. The Complete Job Search Toolkit includes 66 ready made worksheets and checklists!!! Each document can be easily customized with your own company branding. You can use these tools over and over again – there’s no limit! The work is done for you! You can take advantage of my working with over 1200 people in many career areas and levels, without having to do the work and learning yourself. Plus you’ll receive ongoing support from me (Noomii’s #1 career expert with over 20 years experience). You will have ample opportunity to connect with me to discuss your unique client questions, and get answers to assist your clients obtain the job they want and deserve. All of this for $1395 USD or 3 payments of $499. Hurry as the bonuses are for a limited time! You can also contact me at mary@mlkcoaching.com or 604.729.6595 with any questions. Here’s to your success as a career coach!